﻿Howar﻿d Barr- "I'm a Pilots fan!" 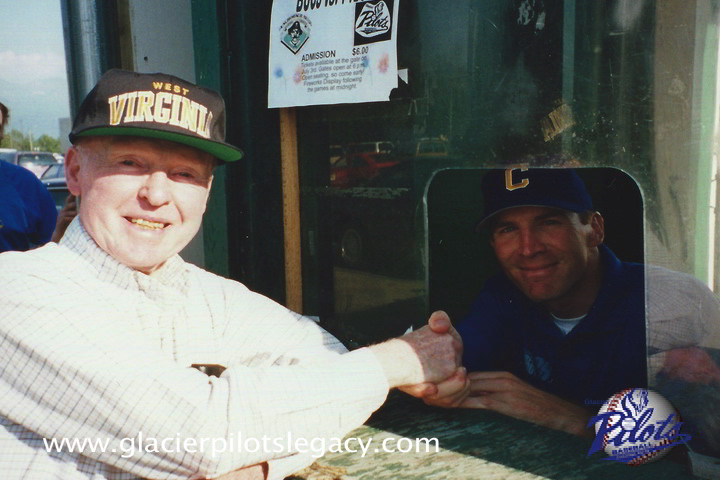 Dad was a big Glacier Pilots fan. In a lot of ways this Project is because of him. 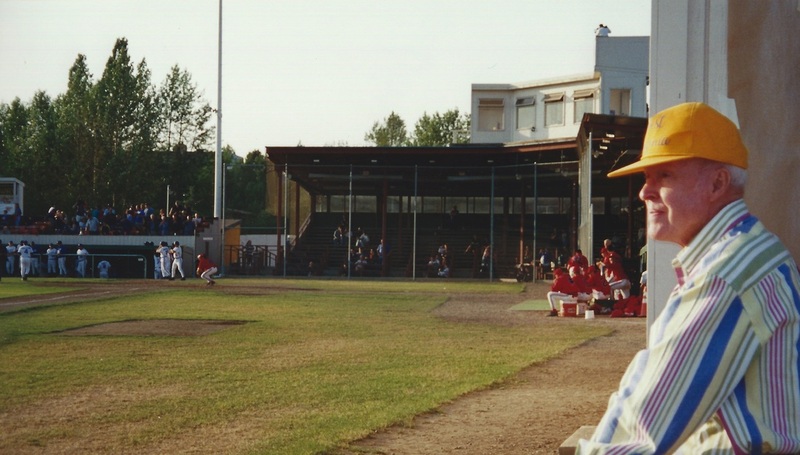 We were having a discussion during the Pilots Vs Bucs July 4th, 1999 doubleheader about how the national sports media was basically ignoring the Alaska Baseball League and all of the incredible baseball players from around the world who have played in Alaska and went on to the Major League. I said "Someone should do a documentary on it." He smiled and said "Why don't you do it?" Dad helped pay for me to get my Broadcasting Degree from the Walter Cronkite School of Broadcasting at Arizona State University. So In 2001 I returned and filmed most of the season and have slowly been working on making his idea a reality. This series is dedicated to him. He loved living in Alaska and every summer if he wasn't at Mulcahy Stadium the house was filled with the sounds of Glacier Pilots baseball on the radio while he cleaned salmon from a recent fishing trip. Dad grew up in Matoka, West Virginia and came to Alaska just before Statehood and taught at various local Junior High Schools as a Coach and History Teacher. 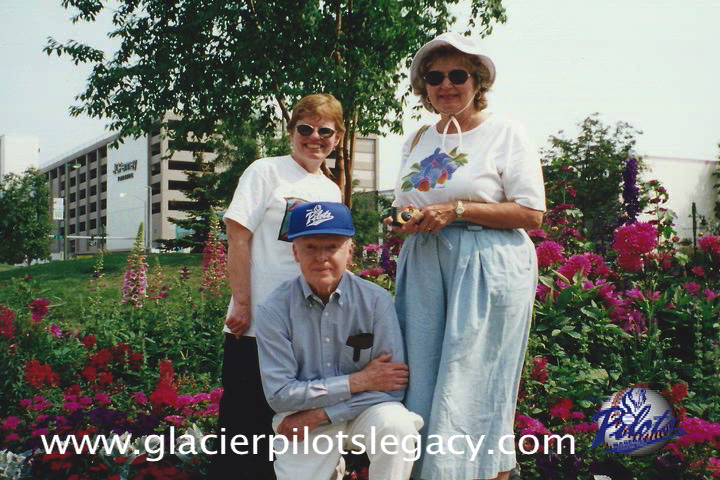 An avid outdoorsman and sportsman he loved Anchorage and Alaska. He passed way in 2011. Proof that a Glacier Pilots fan and a Bucs fan can be friends! Dad is shaking hands with family friend ﻿Ken﻿ Wooster. 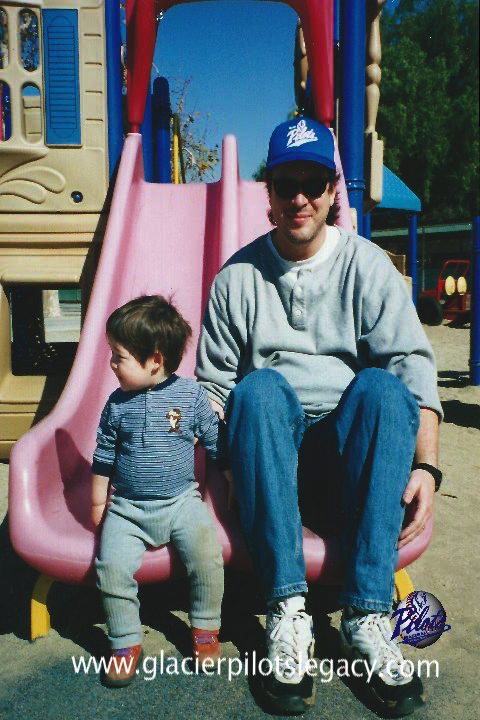 Me and my son Ben. Dad and some gal pals. 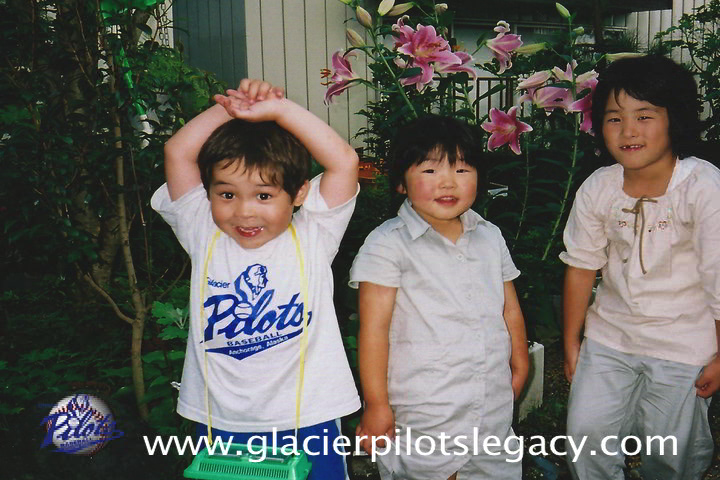 Ben showing off his Pilots T-shirt in Japan.